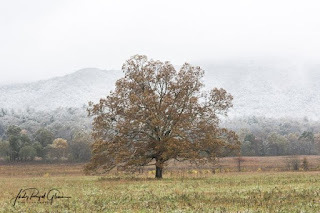 This oak tree has its own name in Cades Cove, Tennessee. 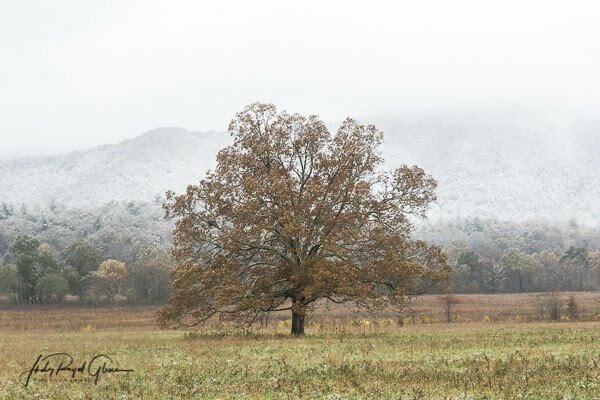 It’s called, “The Tree.” It stands majestically in an open field and is a favorite for photographers. This particular day was neat as snow fell the first day of spring and dusted the mountains and fields.